Tuners are vital for players of all levels, making sure you always stay in tune. Our range includes chromatic options to work with a wide range of instruments. Here at World of Music, we stock a wide range of clip on and plug in tuners from TC Electronics, Boss and more. 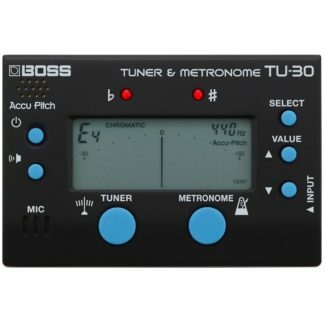 From simple clip on tuners, to multi-purpose plug-in metronome tuners with all the bells and whistles, you can get whichever suits you online or in-store for the best prices around.